As Venezuela continues to feel the effects of an alleged cyber attack on its electrical system, Secretary of State Mike Pompeo said last night that he had ordered all American diplomats to leave the country, saying their presence was “a constraint” on US policy there. Those diplomats will spend the day shredding documents and destroying equipment, and the marine guard will lower the flag. Lucas Koerner, an activist and writer for VenezuelAnalysis.com, joins the show. Marielle Franco was a local politician in Rio de Janeiro, Brazil who fought against police violence against the city’s poorest residents. She was murdered a year ago Thursday. But yesterday, authorities arrested two former policemen in a killing that prosecutors are calling “a meticulously planned assassination.” Brian and John speak with Dr. Francisco Dominguez, a senior lecturer at Middlesex University and the head of the Centre for Brazilian and Latin American Studies. The United States has threatened Germany that if they keep working with Chinese tech company Huawei on 5G technology, then the United States will cease some intelligence sharing with Germany. Will this further fray ties between the United States and Europe? Jude Woodward, the author of the book “The US vs China: Asia's new Cold War?,” joins the show. President Trump yesterday sent his record $4.75 trillion budget to Capitol Hill for congressional consideration. Democrats in the House declared it “Dead on Arrival” because of provisions that would cut $1.9 trillion from Medicare and Medicaid and that would eviscerate federal employee pay and benefits. Ted Rall, an award-winning editorial cartoonist and columnist whose work is at rall.com, joins Brian and John. Today’s regular segment that airs every Tuesday is called Women & Society with Dr. Hannah Dickinson. This weekly segment is about the major issues, challenges, and struggles facing women in all aspects of society. This week they talk about the strikes and rallies with millions of people worldwide for International Women’s Day. 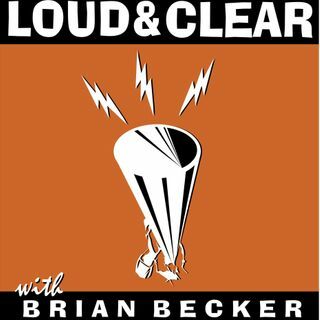 Hannah Dickinson, an associate professor at Hobart and William Smith Colleges and an organizer with the Geneva Women’s Assembly, and Loud & Clear producer Nicole Roussell join the show.